In spirit of the Bafta’s being this evening and the Oscars only being a couple of weeks away I thought I’d do an awards inspired book tag! This is my favourite time of year as I’m a huge fan of film and I love to see the all the celebrities get dressed up on the red carpet and most importantly see who receives which awards. Keep your eyes peeled in the weeks to come with some of my Oscars predictions and maybe some mini film reviews of some of the films nominated. I can’t remember where I found this tag but I’ve added a few questions of my own and if your planning on doing this tag or if you’ve already completed it then please leave a link to it in the comments as I love reading everyones answers! Red Carpet Ready – What outfit from a book would you want to steal? Anything from Feyre’s wardrobe! All her clothes are absolutely stunning and I just love seeing fan art depicting some of my favourite pieces. The Opening Monologue – What are some of your favourite opening lines? Rebel Belle by Rachel Hawkins is one of my favourites as it instantly establishes Harpers humour and character, from the first line you already know you’re in for a fun ride! I’ve also just started reading Nevernight by Jay Kristoff and that’s got unique opening line that also sets the tone for the rest of the book. Best Picture – Favourite stand-alone novel? The Night Circus By Erin Morgenstern. I’m always going on about how wonderful this book is but it truly is breathtaking. I’m just obsessed with all the magic in this book and its ability to transport the reader to the beautiful yet mysterious world of the Night Circus. If you haven’t read this book yet then I highly recommend that it finds a spot on your TBR pile. Best Short Film – Favourite novella/short story? I don’t read many short stories, I’m more of a flash fiction gal but I really enjoyed Gigi by Colette. It’s a funny and unusual story about love and marriage that offers a glimpse into the decadence of fin-de-siecle Paris, the scandals, the life and morals of women who lived their lives as celebrated, high-class courtesans. Best Actor – Who is your favourite male protagonist? It’s a tie between Kelsier from Mistborn by Brandon Sanderson and Nikolai Lantsov from Siege and Storm by Leigh Bardugo. Both of these characters are sarcastic, witty and honourable men that will do anything to protect the ones they love. Their interactions with the other characters in their books are among so of my favourites. I haven’t got my hands on King of Scars yet but I’m a little sceptical as I haven’t heard good things about it, please someone change my mind! Best Actress – Who is your favourite female protagonist? It’s always difficult to pick a favourite but I’m going to go with all the ladies from both the Throne of Glass series and the A Court of Throne and Roses series. Sarah J Maas knows how to create beautifully unique and intricate characters that you grow to love more and more with each page turn. I know I always go on about her but she is just incredible. Best Director – Who is your favourite author? I’m not going to pick Brandon Sanderson, Leigh Bardugo or Sarah J Maas as that’s just predictable, instead I’m going to choose Nancy Mitford. She’s one of my new found favourites as her books are all just so witty and loveable that I want to be apart of one. Best Adapted Screenplay – Favourite book adaptation? What book would you want to see adapted next? The Hunger Games will always be one of my favourites especially Catching Fire which is a film I can watch over and over again. I am beyond excited for the Six of Crows/Shadow and Bone adaptation and I’ve got seriously high hopes for this project, so no pressure! Best Original Screenplay – Favourite fictional world? I love Narnia, and I remember growing up that I use to pretend that my sister and I were exploring and going on adventures with the Pevensie’s. It’s got everything you’d want from a magical world and I keep checking my wardrobe to see if there’s a magical tunnel to there. I remember being seriously shocked by the twist in Red Queen but the real Queen of plot twists and cliffhangers is Cassandra Clare! I’m not going to say any more but if you’ve read either of these books then you know what I’m on about. Best Costume Design – Favourite book cover? Priory of the Orange Tree by Samantha Shannon, that book is stunning and I need to get my hands on it asap! These upcoming weeks are a bit mad work wise so my apologies if I don’t post as regularly but one of my blogging goals this year was to stick to my posting schedule. This might mean that you’ll get a few more book tags than usual as they’re always fun and easy to do. I’ve seen a lot of people do this tag and I always love reading other peoples answers so I hope you enjoy reading mine. Let me know if you’ve done this tag in the comments as I’d love read your answers. 1 – WHO? Who is an author you’d love to have a one on one with? I’ve already met Sarah J Maas but I’d love to go out with her and just gush to her about all her books and characters! I’d also love to go out with Leigh Bardugo and maybe get some insider knowledge about the TV show adaptation as well as persuading her to cast me as an extra or something. I’m thinking a ladies lunch or afternoon tea somewhere where we can discuss all our favourites books and characters. 2 – WHAT? What genre or style do you most gravitate to? Fantasy! I just love exploring different worlds as well as all magical and mystery elements they have. My aim this year is to read more adult fantasy but also to challenge myself and read genre’s that I wouldn’t usually read. It’s going well so far as I’ve read a lot of contemporary and romance reads, books that are all getting me in the mood for Valentines Day! 3 – WHERE? Where do you prefer to read? I love curling up somewhere cosy wether it be on my sofa at home or in my bed at university, I just like to be warm and comfortable. 4 – WHEN? What time of the day do you prefer to read? I’m a morning person, so I usually like to read a bit of my book before I start the day but at the same time I always enjoy a quick read in the evening before I go to bed. I think reading is always a good way to start and end the day. 5 – WHY? Why is your favourite book your favourite book? I don’t really have one ‘favourite’ book, instead I have about 5/6 so I’ll just pick a few of my absolute favourites. Mistborn by Brandon Sanderson – I apologise as I swear I mention this book in every post but it honestly is incredible! The characters, the world, the storyline, all of it is wonderful and I can’t wait to read more of his books this year. The Night Circus by Erin Morgenstern – I’m obsessed with all the magic in this book and its ability to transport the reader to the beautiful yet mysterious world of the Night Circus. If you haven’t read this book yet then I highly recommend that it finds a spot on your TBR pile. Eagle in the Sky by Wilbur Smith – I haven’t mentioned this book for a while but this is the first book (aside from the Harry Potter series ) that I read and instantly fell in love with. This book is a tragic romance that made me cry more than I’d care to admit, but Smith’s writing captivates you and presents such a beautiful story. BONUS! How do you go about selecting what you’ll read next? My downfall is that I don’t have any – I just pick anything. But one of my reading goals this year is to tackle my TBR pile and I’ve started setting myself monthly TBR’s to help give myself a bit of structure. The only thing is that I keep getting distracted by new releases and titles up for request on NetGalley! I had every intention of reading loads this month but I forgot about all my looming deadlines for the end of the month so my reading completely stopped. But before all my essay writing I got a fair bit of reading done and I managed to maintain a nice balance of reading for university and reading for pleasure and this month I want to read more books that I want to read. I recently got approved on Net Galley for some really exciting reads so my aim this month is to also boost my score as that’s looking pretty low! The Priory of the Orange Tree Early Extract – OMG, I am beyond excited for this book but I’ve shot myself in the foot by reading an early extract as I really want more and I was gutted when it ended. The end of February can’t come soon enough. If you’re wandering how I got my hands on an early extract then I recommend you jump onto Net Galley as its available to read now! The Pursuit of Love by Nancy Mitford – I knew I was going to love this book as its all about love, class and relationships but I wasn’t expecting to love it this much! I flew through this book and I loved it so much so that I also binge watched the TV show and have ordered more of her books. I’m a bit of a mess! To The Lighthouse by Virginia Woolf – I’ve heard nothing but good things about this book but I’m sad to say that I didn’t love it as much as everyone else. After reading it the first time I was so confused but after analysing it and digging deeper into its symbols, motifs and characters I’ve been able to find a new appreciation for it. The Handmaids Tale by Margret Atwood – I loved this, it definitely lived up to the hype and I managed to read this all in one sitting! I’m looking forward now to starting the TV show and seeing how they’ve adapted it for the big screen. Love in a Cold Climate by Nancy Mitford – Like I’ve said previously Nancy Mitford has stolen my heart with her wonderfully awkward characters and storylines so it was only right that I read more of her books! The nice thing about this book that although its further reading for university it is also a book that I know I’ll enjoy and fly through. Five Feet Apart by Rachel Lippincott – I’m so glad that I’ve got my hands on this book as I was only watching the trailer for the film adaptation the other week. I’m already fully invested in these characters and their storyline which tells the story of two people who meet whilst receiving treatment for Cystic Fibrosis where physical contact could transmit fatal disease. This book is available for request on Net Galley if there are any other readers out there like me who wanted to read it before the film is released later in the year. Enchantee by Gita Trelease – It was the cover which instantly drew my attention to this book and the fact that it got a lovely review off Stephanie Garber, author of the Caraval series. I’m super excited to read this book as not only is it set in Paris but the storyline sounds mysterious and magical! Again this is another book on Net Galley which is available for request and I thinks its pretty clear that my aim for this month is to boost my current feedback percentage. Uprooted by Naomi Novik – In all fairness I don’t know much about this book but I found it on WhatBook and it sounded like something I’d love. It’s no surprise that this book is a high fantasy and this year I’m all about discovering new fantasy authors and series. If you’ve read this book then let me know what you thought about it in the comments! I’m alive and I apologise for my lack of posts recently, I was hit with some university deadlines and my dissertation has literally taken over my life! But all is well in the world, as I’ve now got a week off to catch up on my reading and to sort my life out. These are all books I read on holiday last year, but I’ve been so busy and the fact my blog took a bit of a back seat last year is why its taken me so long to finally write reviews for them! If you’re stuck for something to read then any of these would be perfect as I found them all to be really fun and easy reads that you could easily read in a couple of days or for me hours! I fell in love with Ryan Graudin when I read her Wolf by Wolf series so when I heard she was writing a time travel based book I was super excited! What I love about time travel is that you are able to explore so many different time periods and places that you wouldn’t typically visit in one book. Plus it makes the entire storyline so unpredictable as you never know where you’re going to end up. I love it when we are given a band of characters as we get all these lovely interactions and banter between them as well as occasionally different POV’s. I didn’t love this book as much as I did her first series but it was a fun adventure and works as a really nice and relaxing read. My go to genre is always fantasy as I love being transported and exploring different worlds but I’ve read so many of them that I’m always looking for something different and that’s exactly what I got from this. Instead of falling into typical YA tropes, Holland set them up and plays with them in unexpected ways making the entire storyline unpredictable. The concept of using time as currency is another thing that made this book stand out, however this lead me into the trap of loving the world more than the characters. Aside from that, this was an enjoyable and unique read that you will fly through! As someone who has never been a huge fan of mermaids and sirens, I was pleasantly surprised and fell utterly in love with this book. It’s almost a retelling of The Little Mermaid but darker. We are given two unlikely companions that are forced to work together and the banter and further relationships that bloom from it is brilliant! What surprised me the most was the writing which was so beautiful and I just remember highlighting so many lines and thoughtful descriptions that I loved. A quick and enjoyable read that I definitely recommend. One of my aims this year was to read more books but sadly on a student budget I can’t afford to always be filling my shelves with new reads. That is why I love NetGalley as it means I can request and read books on my TBR as well as being able to discover new and exciting reads. I’ve been very lucky recently as I’ve been approved on Net Galley for some seriously exciting reads all of which I freaked out about when I got the confirmation email! For those who don’t know Net Galley is a service that enables publishers and authors to upload books to its website prior to publication and allows “professional readers,” such as reviewers, to request copies. I only requested four books this month as I didn’t want to overwhelm myself and I wanted to make sure I read and posted all my reviews on time. Anyway, these are the books that I was recently approved and expect honest reviews for all of them soon! Five Feet Apart by Rachael Lippincott – I’m so glad that I’ve got my hands on this book as I was only wishing I had it last week when I was writing my post on the upcoming YA film adaptations (which you can read here!). I’m already fully invested in these characters and their storyline which tells the story of two people who meet whilst receiving treatment for Cystic Fibrosis where physical contact could transmit fatal disease. Enchantée by Gita Trelease – It was the cover which instantly drew my attention to this book and the fact that it got a lovely review off Stephanie Garber, author of the Caraval series. 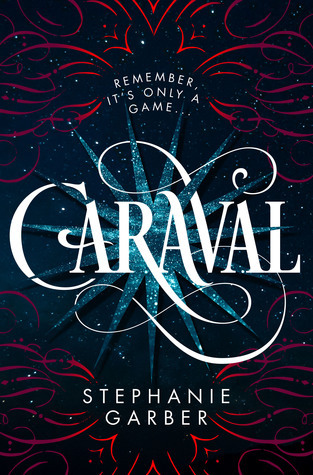 My excitement for this book doesn’t stop there as its also set in Paris during 1789 and is about seventeen year old Camillie who is a magician and must rely on her petty magic skills to provide for her brother and sister. But when her brother disappears Camille decides to pursue a richer, more dangerous mark: the glittering court of Louis XVI and Marie Antoinette. Shadow of the Fox by Julie Kagawa – I’ve been meaning to read this book for ages and I had mini freak out when I saw that this book was available to ‘read now’ so if you’re a NetGalley member then go and download this book asap! Another one of my reading goals this year was to read more world literature and I’m really excited to learn more about Japanese mythology. When destiny calls, legends rise. Every millennium the missing pieces of the Scroll of a Thousand Prayers are hunted, for they hold the power to call the great Kami Dragon from the sea and ask for any one wish. As a temple burns to the ground Yumeko escapes with its greatest treasure — the first piece of the scroll. And when fate thrusts her into the path of a mysterious samurai she knows he seeks what she has! The Priory of the Orange Tree by Samantha Shannon (Exclusive Early Extract on Read Now) – My excitement for this book is unreal and that fact that I get to read an early extract of it has me bouncing off the walls! If this isn’t on your TBR then it certainly will be after you’ve read the synopsis! 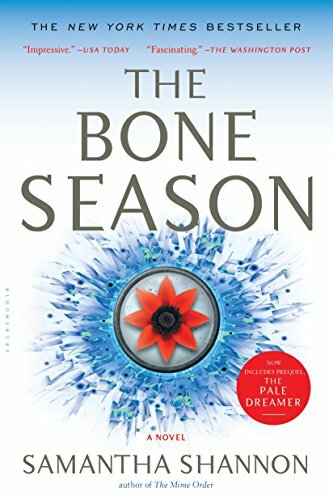 From the internationally bestselling author of The Bone Season, a trailblazing, epic high fantasy about a world on the brink of war with dragons – and the women who must lead the fight to save it. It’s fair to say that I was a little skeptical when they announced that they were remaking Mary Poppins and that Emily Blunt would be bringing Julie Andrew’s iconic character back to the big screen. However, those doubts have been completely crushed as everything about this film was wonderful. I laughed, I cried and I had a smile on my face throughout the entire film. They truly have pulled out all the stops for this film, everything is bigger, brighter and can I even go as far as to say better? It was touching to see so many little nods to the original and it was lovely to see the Banks children all grown up and I loved the fact that we were able to follow their children’s adventures with Mary Poppins. Emily Blunt brought this iconic character back to life in her own wonderful way, her Poppins was warm but stern and gave us everything you would want from a character and more. Also I wasn’t expecting Mary Poppins to be such a good match maker and I need more of the blossoming romance between Jack and Jane! I also need a Mary Poppins of my own to come and help me with my love life. Everyone’s raving about how wonderful Emily Blunt is but the real star of this film has to be Lin Manuel Miranda who’s enthusiasm and passion for this film and it’s beautiful music is evident. There’s a scene which Jack (Lin Manuel Miranda) and the other London lamplighters perform ‘Trip a Little Light Fantastic’ and the choreography for that number was incredible. The original score is so iconic that it was always going to be difficult for the new one to be as memorable but nevertheless all the songs were fun and catchy with some of my favourites being ‘A Cover is not a Book’ and ‘The Place Where Lost Things Go’! This film warmed my little heart with its adorable storyline, characters and incredible score. I’m not surprised that this film is getting a lot of attention as it truly is a feel good film that is bursting with love and joy. There aren’t many YA adaptations being released this year but nevertheless, I’m excited about all the ones on this list and even when researching I’ve discovered a few which I had forgotten about! When adapting books to movies there’s always the worry that the writers and directors are going to change everything and miss important and much-loved parts from the films but I’m quietly optimistic for this year’s releases. Most of the book to movie adaptations I’ve seen recently have all been really good and the elements they’ve changed and added I felt have been beneficial, my favorite of last year is still To All The Boys I’ve Loved Before. If you haven’t seen it yet then you are seriously missing out! The Sun is Also a Star by Nicola Yoon (May 2019) – This book was such a powerful and impactful read for me so I’m really hoping that they don’t mess this one up and that the book’s message comes through in the film. I was really disappointed by the adaptation of Everything, Everything so I’ve got all my fingers crossed for this film! The film is about two teens, Daniel, the son of Korean shopkeepers, and Natasha, the daughter of undocumented Jamaican immigrants who cross paths in New York City and slowly fall in love. Little Women by Louisa May Alcott (Dec 2019) – The cast for this film is literally out of this world and the fact that Greta Gerwig is directing it makes this film one of my most anticipated films of the year, the only downside is that we’ve got to wait till December to see it! Starring Emma Watson, Meryl Streep, Saoirse Ronan, and many many others, this film is guaranteed to be a perfect watch! I really enjoyed Ladybird directed by Greta Gerwig so I’ve got high expectations for this adaptation! Chaos Walking: The Knife of Never Letting Go by Patrick Ness – I totally forgot about this film and I can’t think why because it has such a good cast! Starring Tom Holland AND Daisy Ridley this film already looks epic and we haven’t even got a trailer yet! I will admit I haven’t read these books yet but it’s definitely on my TBR list (along with lots of other series! Todd Hewitt has been raised to believe that a viral germ has killed all women and unleashed Noise, the special ability to read people’s and animals’ minds through a stream of images, words, and sounds. After discovering a patch of silence, free of Noise, Todd is forced to flee his town. Alone, he must face a planet erupting in war—that is, until he meets Viola, the source of the silence. All the Bright Places by Jennifer Niven – Netflix is seriously killing it at some of its YA adaptations so I’m quietly confident that they’re going to do a good job at adapting this powerful read! Five Feet Apart by Rachael Lippincott – I hadn’t heard of this book until I watched the trailer and now I’m fully invested in this story and its characters! Starring Cole Sprouse, this film tells the story of two people who meet whilst receiving treatment for Cystic Fibrosis where physical contact could transmit fatal disease. Blogs We Follow and Love!